However, the minister’s statement raised more questions than answers as members of the media sought clarity on the funding source. 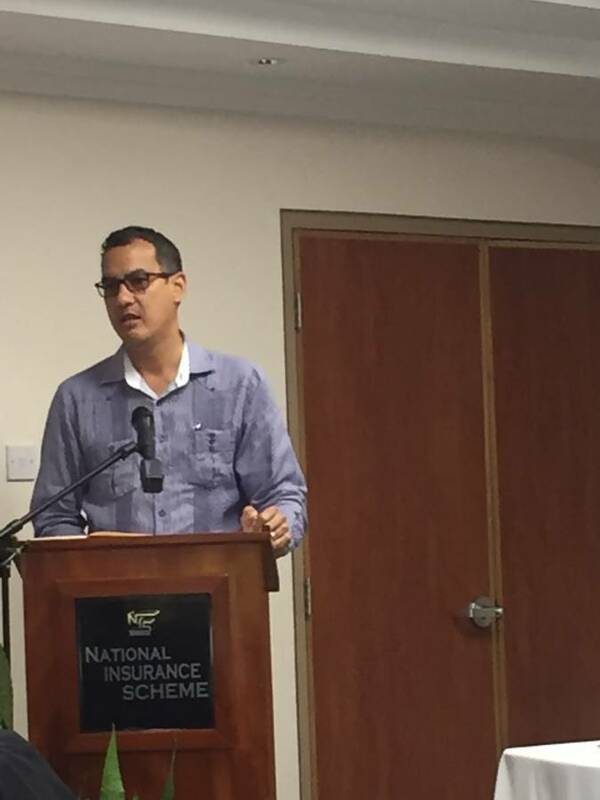 Although no steadfast answers were given, during Wednesday’s media briefing, Hon Emmalin Pierre insisted that there will be laws put in place by Cabinet to ensure that the NIS funds are not interfered with during the NHIS process. Professor Karl Theodore offered the commitment of The UWI’s Health Economic Unit. According to him, the funds for the NHIS will be set up as s pool, contributed to by people who are working, employers and the Government. He is of the firm belief that the NHIS will definitely change the way healthcare works in Grenada. Other stakeholders lending support to the Government of Grenada during the journey to the NHIS, include the European Union, UNDP, PAHO, UWI and NIS. Although dates have not been set for the actual implementation of the NHIS, several consultations have been held around the island, seeking and sharing information from citizens about the new health care system. Minister Steele gave the assurance that his government and their stakeholders will do everything they can in order to have a sustainable healthcare system for Grenadians.